Ideal for chainsaws and bicycle chains. Its semi-synthetic basestocks reduce drag effectively, which optimizes efficiency and extends chain life. Tacky formula clings to metal surfaces better than other oils, delivering unparalleled lubrication and protection. 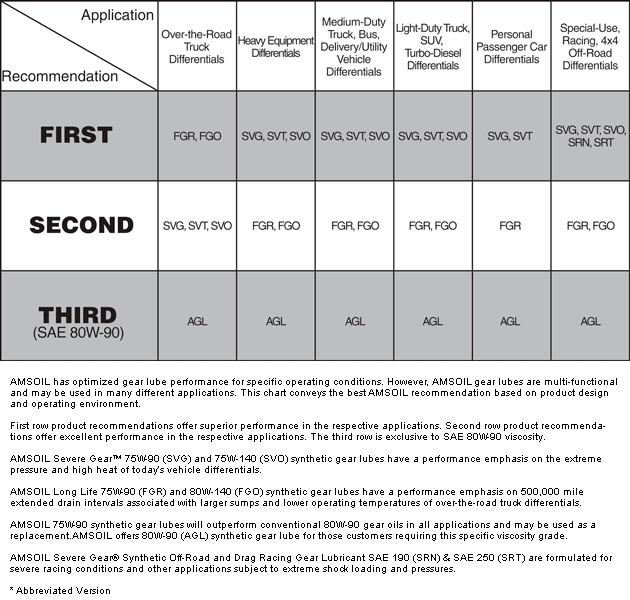 Click here to view the MSDS Data Sheet for AMSOIL ABC. Votes & Reviews: 23 vote(s) and 15 user reviews. This was the first time I used this product. I recently bought an electric pole saw to reach into my neighbor's yard to cut back blackberry vines. It requires bar & chain oil for the small chain saw unit. 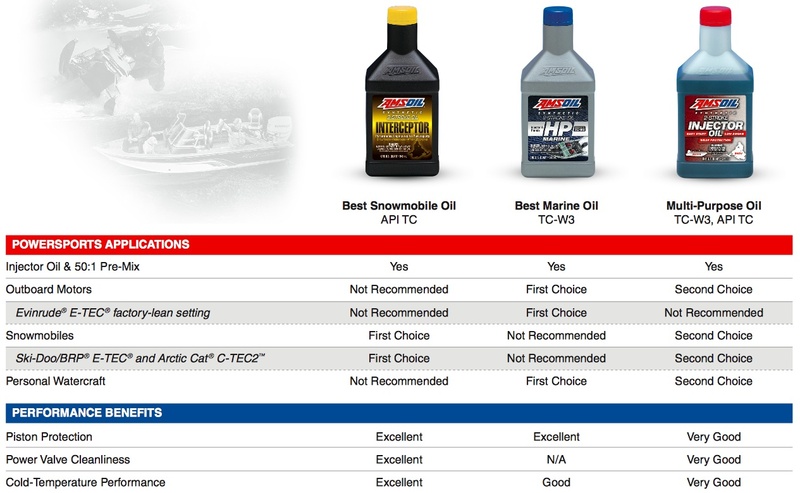 I have been an Amsoil customer for a long time and felt I'd be best off with the best. I have used it once at great length and it performed flawlessly. The cutting surfaces look great. I expect to get good life out the chain assembly. I bought a second bottle for my brother-in-law who I have gotten hooked up Amsoil for his oil changes on his truck and his grandson's car. 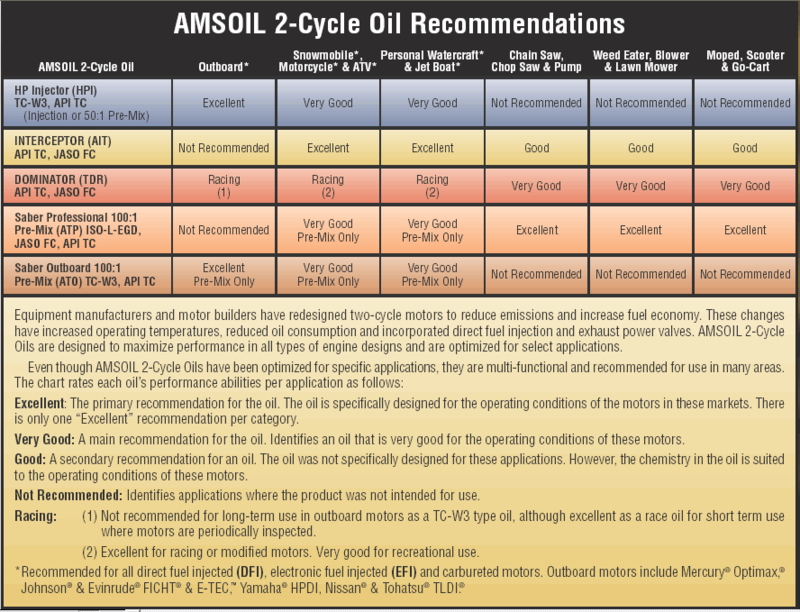 As usual another great Amsoil product. This oil is particularly good in cold weather because, being a semi-synthetic, it feeds well in cold or hot weather. I would buy this again when needed. I haven't really noticed any difference than other bar oil I've used but it does the job it was designed to do. At first I was nervous about this bar and chain oil. It didn't seem to meet a "standard" I had in mind. But after feeling and seeing the tackiness of this oil I became more and more confident that this will live up to the amsoil standard. I like this oil for chain saw chains. It protects the bar and chain very well. Use it in my Harbor Freight electric chain saw. Works great and does the job perfectly. Haven't used this much yet. But have no doubt it will preform as advertised. As do all amsoil products.